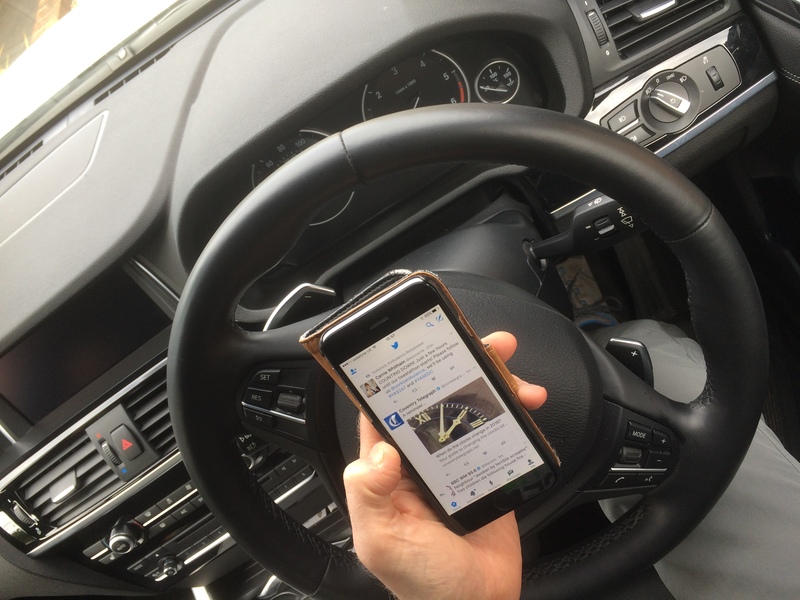 Are you ‘dying’ to use your mobile phone at the wheel of your car? Monday 31st October 2016 – 10.10am – Murray MacGregor. West Midlands Ambulance Service is joining with Warwickshire and West Mercia Police, and the Safer Roads Partnership to urge drivers to avoid deadly distractions at the wheel. Together, they’ll be running a targeted mobile phone enforcement and education campaign which is running throughout November to crack down on people who continue to flout the law. Using a mobile phone while driving is a potentially fatal distraction and has been illegal since December 2003. 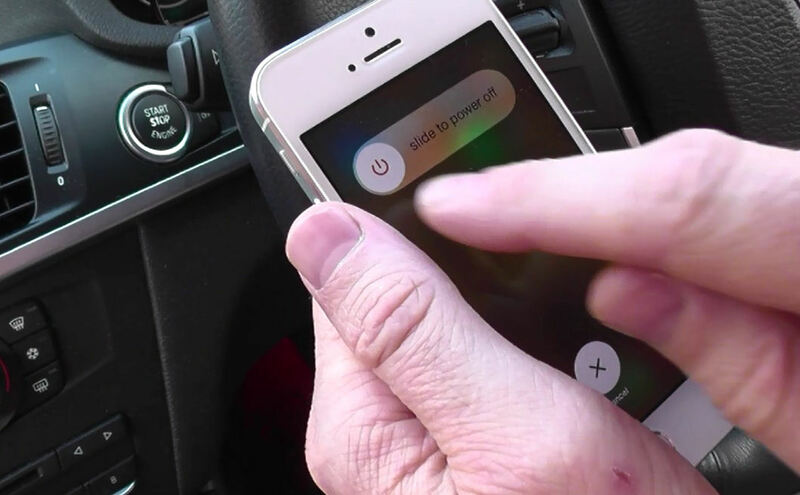 Studies show that drivers using a mobile are slower at recognising and reacting to hazards. Even careful drivers can be distracted by a call or a text – and a split-second lapse in concentration could result in a collision. The penalty for using a mobile phone while driving has steadily increased over the years and is now a £100 fine and three penalty points on the offender’s licence. However, the government has recently proposed that this should increase to six penalty points and a £200 fine; ensuring drivers face much tougher penalties. These changes are expected to take effect in the first half of 2017. A recent 2016 annual report on motoring, by the RAC, suggests the number of motorists who illegally use mobile phones while at the wheel is rising. 1,714 motorists were surveyed and 31% of motorists said they used a handheld phone behind the wheel compared with 8% in 2014. The number of drivers who said they had sent a message or posted on social media rose from 7% to 19%, while 14% said they had taken a photograph or video while driving. With this in mind, officers from West Mercia Police and Warwickshire Police will be out on the roads over the coming weeks, carrying out targeted enforcement and cracking down on any motorists who are using their phones at the wheel. As well as enforcement, they will be working with West Midlands Ambulance Service to explain some of the implications of doing so, whether that is a criminal conviction or causing the death of another road user because they weren’t paying attention to the road. Superintendent Daryn Elton for Warwickshire Police and West Mercia Police said: “Improving the safety of our roads is a year-round commitment for our officers. Although mobile phone enforcement is already part of our daily operational activity, we will be stepping up our efforts over the coming weeks to crack down on motorists who are blatantly ignoring both the law and the dangers involved. As well as targeted enforcement activity, police officers in Warwickshire will be joining forces with paramedics from West Midlands Ambulance Service on key dates throughout November to target mobile phone users from an education perspective. Police officers and paramedics will work together during certain shifts, patrolling the county in unmarked vehicles, looking for any motorists using their mobile phone while driving. If the driver has no previous mobile phone convictions, they will be offered an educational alternative to the penalty points and fine, and will be shown a presentation at the roadside and given advice from the police officer and paramedic about the consequences of their actions at the wheel. If you would like to arrange an interview with a spokesperson, or would like any further information, please contact the Press Office at West Midlands Ambulance Service on 01384 246 496 or Anna Higgins at the Safer Roads Partnership on 01905 331 248. On a side note, I didn’t know you couldn’t use your phone as a Satnav!